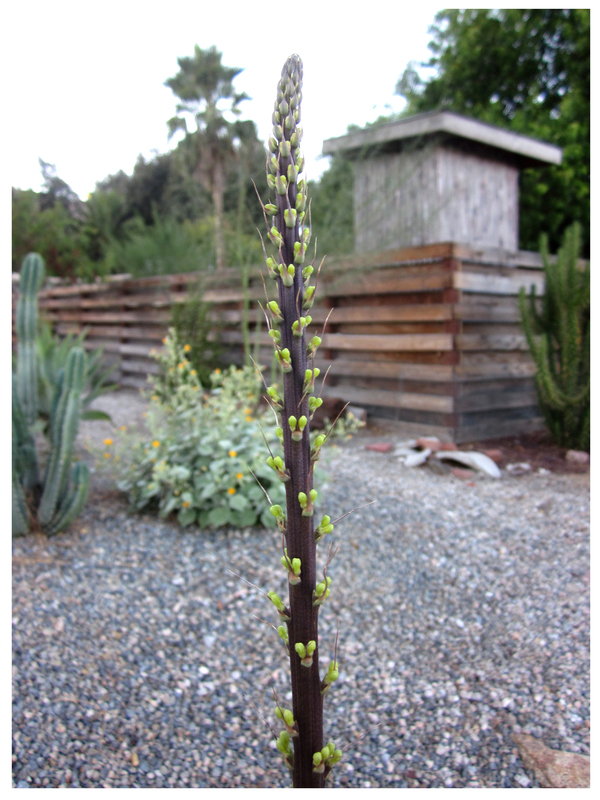 Because this was a very busy Saturday, my first chance to check out our agave mulitifilifera‘s latest developments came at dusk … and what developments! Dozens of tiny, plump bud-couples have appeared along the stalk, each with a whisker-like fiber between them (click the photo twice to see them clearly). 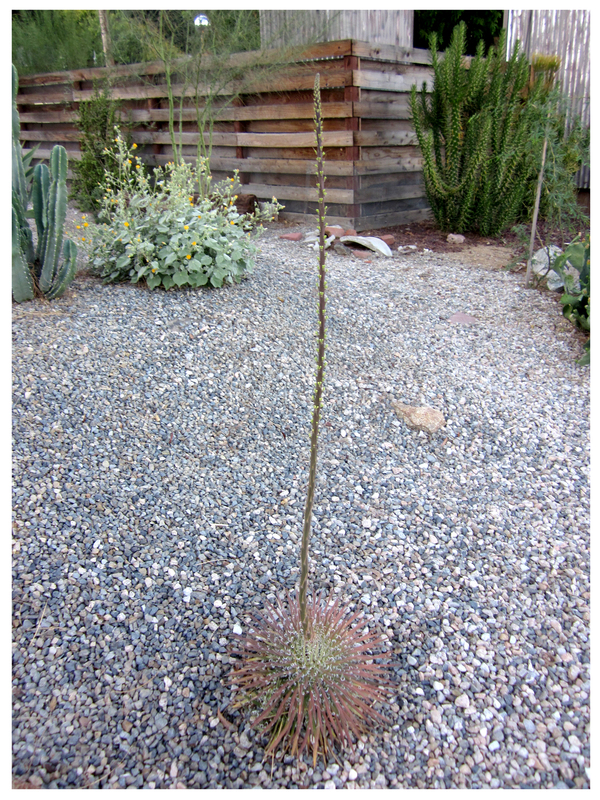 Covering more than half the stalk’s length, if each bud produces a pink/green blossom the display will be amazing! I could easily see that the stalk itself was taller, too. But how much had it grown? Your sea of pebbles surrounding the agave look familiar. I like the look of the agave set off by the texture surrounding it!